Edited by Terry Lichtor . Although technical advances have resulted in marked improvements in the ability to diagnose and surgically treat primary and metastatic brain tumors, the incidence and mortality rates of these tumors is increasing. Particularly affected are young adults and the elderly. The present standard treatment modalities following surgical resection including cranial irradiation and systemic or local chemotherapy each have limited efficacy and serious adverse side effects. Furthermore the relatively few long-term survivors are inevitably left with cognitive deficits and other disabilities. The difficulties in treating malignant gliomas can be attributed to several factors. Glial tumors are inherently resistant to radiation and standard cytotoxic chemotherapies. 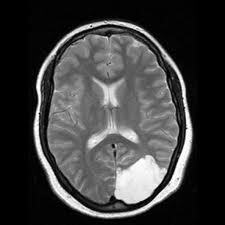 The existence of blood-brain and blood-tumor barriers impede drug delivery to the tumor and adjacent brain infiltrated with tumor. In addition the low therapeutic index between tumor sensitivity and toxicity to normal brain severely limits the ability to systemically deliver therapeutic doses of drugs or radiation therapy to the tumor. New treatment strategies for the management of patients with these tumors are urgently needed. In this book a review of the important features involving the clinical management of patients with these tumors are outlined. In addition advances in radiology both for pre-operative diagnostic purposes along with surgical planning are described. Furthermore a review of newer developments in chemotherapy along with the evolving field of photodynamic therapy both for intra-operative management and subsequent therapy is provided. Hopefully this information coupled with advances in the understanding of the pathology and molecular biology of brain tumors which are also outlined in this book will translate into additional novel therapeutic treatment strategies that should lead to the prolongation of survival without a decline in cognitive functions or other side effects in patients with brain tumors.